Answer-it aims to eliminate the missed telephone call from your business. Providing excellent customer service and creating a great first impression, to everyone who calls your business. See us as a support to your business, helping it grow and achieve a professional image. Message forwarding by Email or SMS, local numbers, freephone numbers, extra lines. 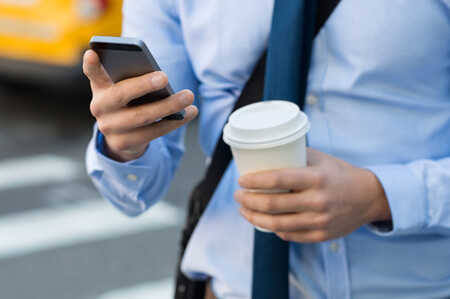 If you aren’t speaking to your clients or prospects when they call your business, and you leave the task to voicemail, then it is more than likely your competitors ARE speaking to them. Answer it gives you control! Using the ‘Answer it’ telephone answering service means that you control how and when you divert your telephone. You choose which suits your business and works best for you. 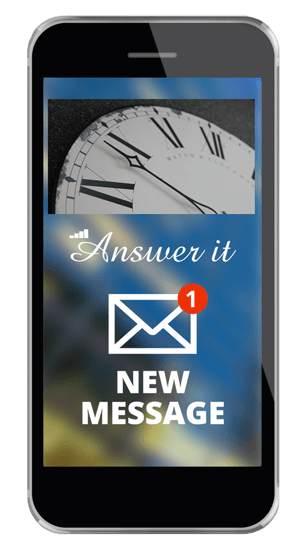 ‘Answer it’ Tele PA’s can give information to your customers or prospects and will forward all messages to you by email and SMS if required. The message will always include the callers details as well as a telephone number so you can get in touch with them. Callers usually ask for ‘someone’ or ‘something’ so we do like to take some time to get to know the structure of your business. We create a tailored service designed around your individual business requirements and call volumes. A bolt on to your existing service with no additional monthly costs. This is a strictly pay as you use service. With no need to sign up. If you need us to ‘Answer-Back’ simply reply to the Email Message we send you with your instruction. We will message you back at no charge with any information you may need in response to the call we made. It may be you need us to make a call to someone on your behalf, where we have not sent a message in the first instance. For example to let someone know you are on the way or check a package was received. In this case simply email your instruction to us as we will take care of the rest.